Christmas Eve is here, and I hope you're all enjoying this holiday weekend with your loved ones! 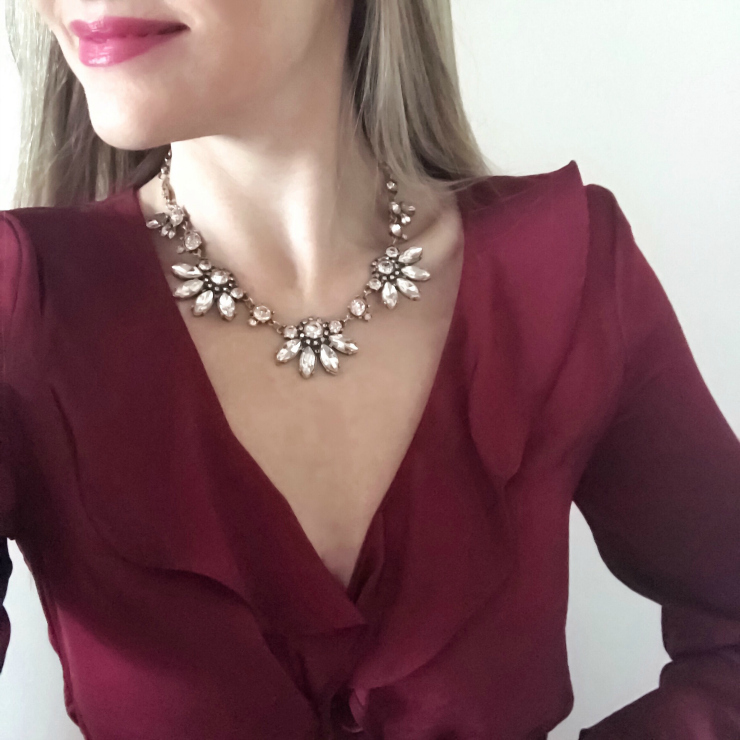 If you're still snuggled up in your favorite PJs but need some quick ideas on what to wear either later tonight or tomorrow for your holiday events or gatherings, I've rounded up 12 Festive Outfit Ideas for you! 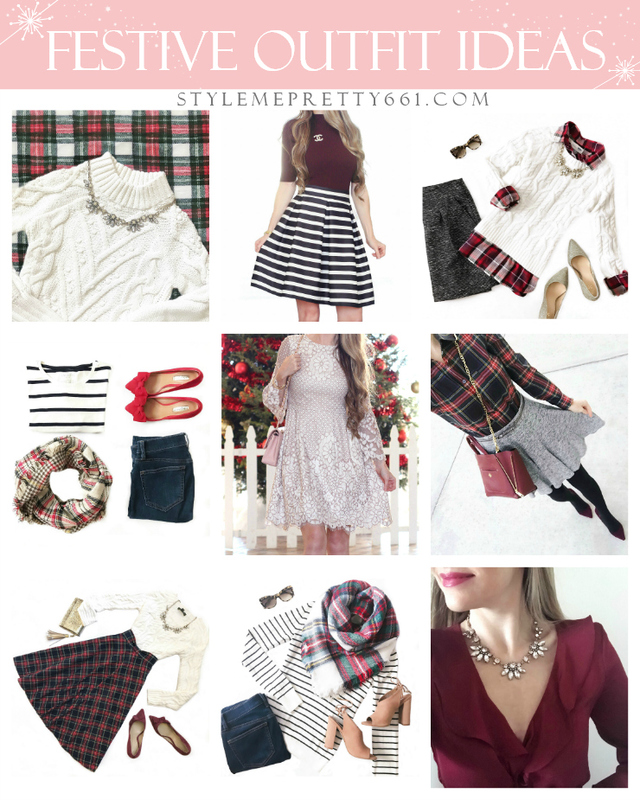 These are a few of my personal seasonal favorites that I've tweaked and adapted over the years and that are super-easy to re-create with pieces you likely already have in your wardrobe! 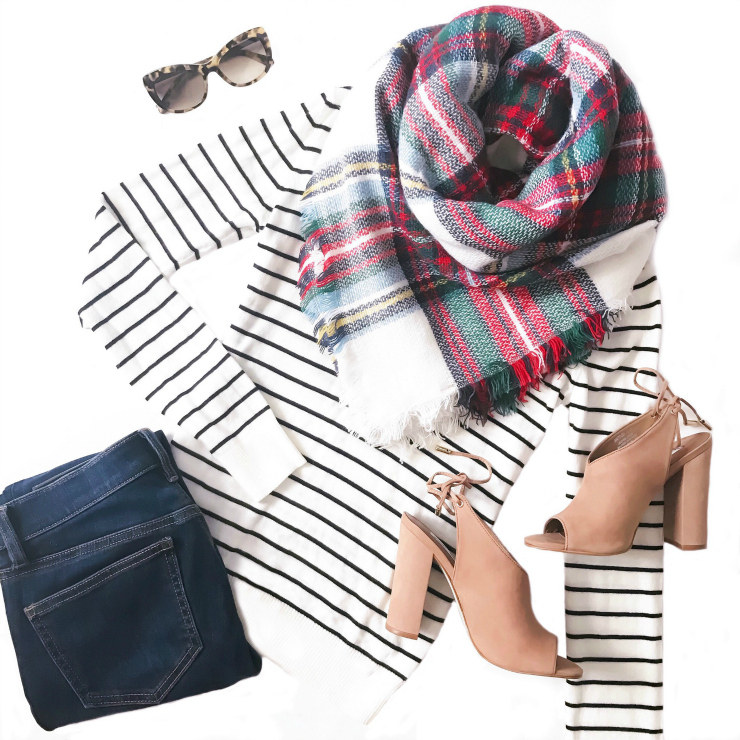 Just add your favorite jeans or leggings! Easy-peasy! A seasonal hit that always garners lots of compliments! A great dressy-casual option that's comfy, too! Added a camel wrap coat -- perfect for cooler temps and an extra touch of elegance! 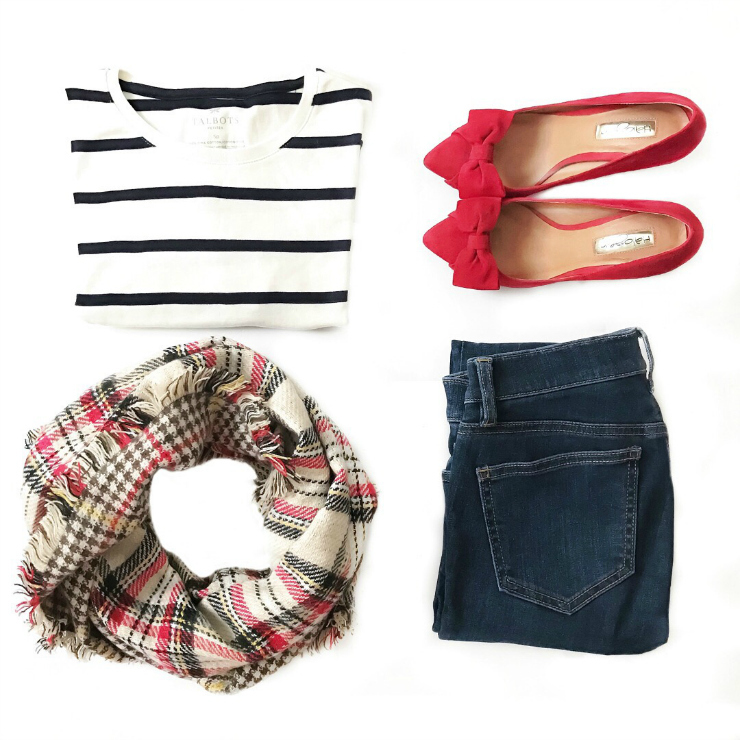 The quintessential, holiday-style outfit. Love the pattern-mixing and the pop of red! A simple-yet-pretty dressy option. Love the silky ruffles! Same dress as above, styled with black tights and over-the-knee boots. Added a lace black cami for more coverage at the bust, too. A darling, modest option for a dinner event or party! Adore this ultra-feminine party look! A little lace dress will never fail you, even if you're in a pinch. Add a pair of sparkly statement earrings for even more dazzle! Another one of my seasonal repeats that never fails me! This look is one of my all-time favorites; it's minimal yet modest and classy! I love Chanel, but any beautiful brooch would look elegant -- this affordable crystal snowflake brooch would add extra holiday flair! Same sweater as above, but styled with a pencil skirt and pumps for a festive, office-friendly look. Adore this longer-length skirt, which lends more refinement and polish! 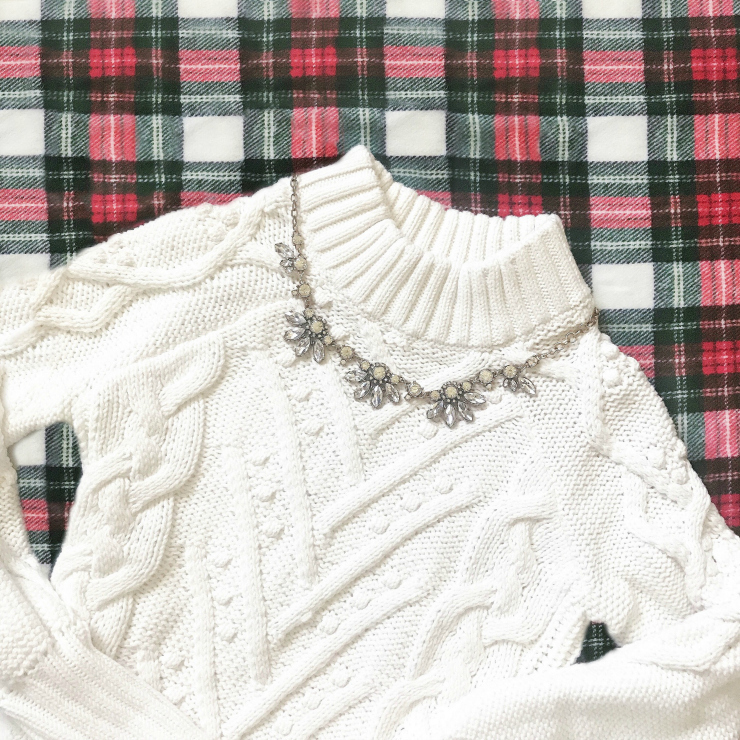 All the components of a pretty, festive look: cable-knit, plaid, bows, and a side of sparkle! And the skirt has pockets! Another soft and comfy casual option. 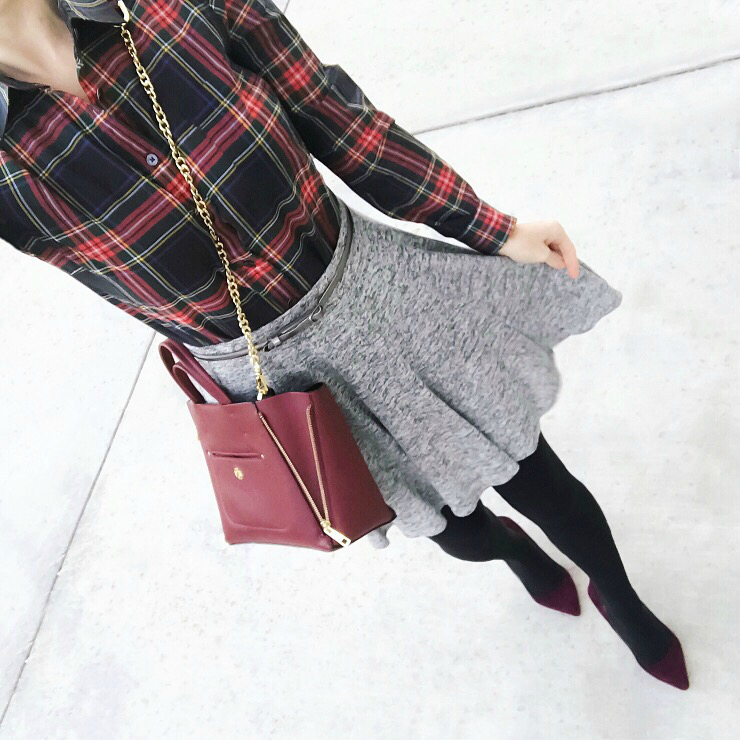 The tartan scarf adds the perfect festive touch! Wishing you a wonderful holiday weekend, whatever your plans! Be safe and be sure to squeeze your loved ones extra tight! This season and every season is about cherishing family, friends, and all the little things that we can sometimes overlook or take for granted during the hustle n' bustle of everyday life. I have so much to be thankful for including my family, friends, our health, and so much more! I'm also very thankful for you and appreciate your support of my humble, little blog!